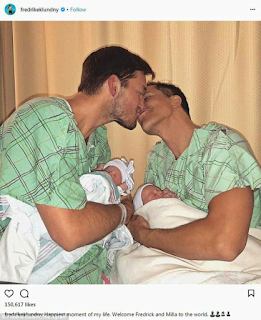 Famous Swedish Reality TV, Fredrik Eklund, and his partner Derek Kaplan are now the proud parents of twins. In the post, Eklund and Kaplan each cradle their infant children while sharing a kiss for the camera. 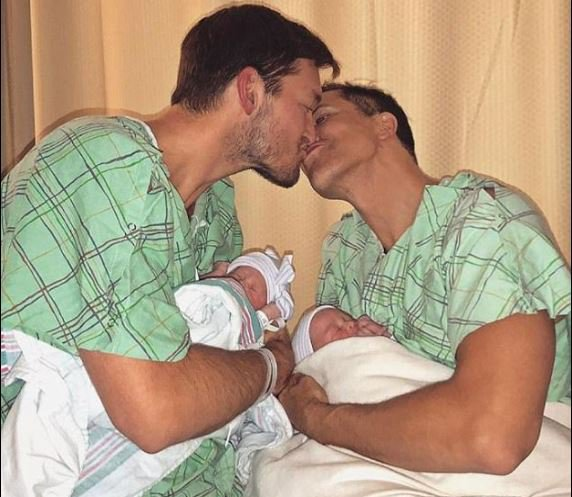 The newborn twins were born via a surrogate.